Another year has passed and following a much more epic sounding name change the final installment of the Middle Earth saga is finally out. It was always going to be a challenge for any film maker to capture the full extent of The Battle of the Five Armies; A battle so epic in scale it makes the battle for Helms Deep look like a minor scuffle. So how did Peter Jackson do with his last trip into the world of Tolkien? Ok I guess…that’s literally the best summing up I can do on this. As with the previous installment, the film picks up right where the one before it left off; Smaug (The Magnificent, The Mighty, The Terrible, The Stupendous, The Impenetrable, The Golden, Greatest of Calamities, etc etc…) is as good as his word and proceeds to destroy Lake Town. However it turns out this sequence is nothing more than a Zelda boss fight; One shot to the one weakness on this body by the bowman Bard & it’s night night Cumberdragon. As word of the Dragons death spreads all eyes turn on the mountain now resided by Thorin Oakenshield, the new King Under the Mountain. Thorin & his band of dwarves want it because it’s their homeland, the humans want it for shelter & for the treasure promised to them, the elves want it because they want their stuff back, more dwarves turn up to defend the mountain from the previous two, and a huge army of Orcs turn up to kill all the former! Needless to say, things escalate quickly. There are some nice set pieces throughout the titular battle, however any Tolkien purists out there that didn’t like the kung fu-like antics in the river barrel scene in the previous film are really going to kick off; A lot of the fight scenes look and feel more like a video game than a film. The Dwarves themselves seem to be more like characters from a Dynasty Warriors game, able to take on hundreds of identical Orcs without taking so much as a scratch. Legolas is back with more Spider-man acrobatics & trick archery that would make both Hawkeye & Katniss snap their bows in half out of sheer jealousy. 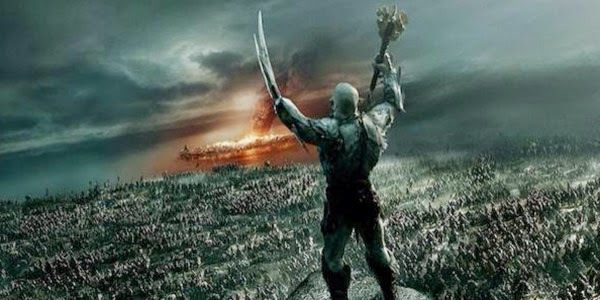 In fact the epic battle of epicness is abandoned from the screen half way through in favour of watching Thorin’s boss fight against Azog The White CGI Orc. 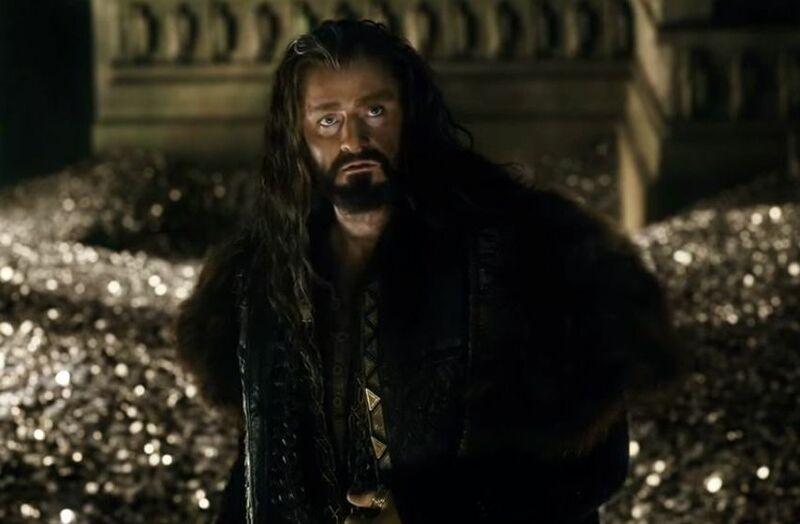 In fact Thorin seems to suffer from a similar problem as Bilbo’s ‘Ring addiction’ in the previous movie (Which has been toned down a lot in this one btw); The moment the mountain is his all notions of loyalty & honour are gone, instead replaced by a lust for gold that would rival Scrooge McDuck & Goldmember. 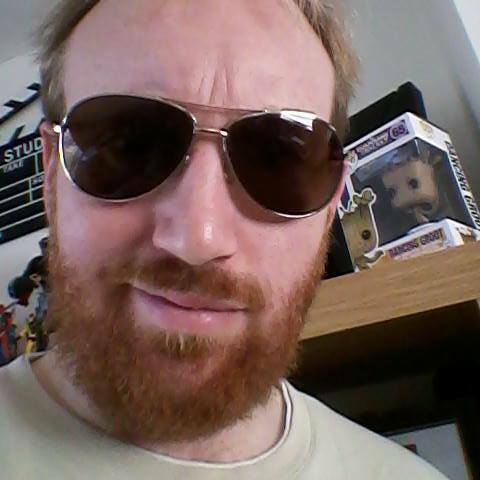 Thorin’s sudden character change is really not subtle, in fact nothing throughout this movie is. Especially with the attempts to keep it linked up to the previous Lord of the Rings trilogy, which just come across as clunky, like someone hammering in an incorrect jigsaw piece to make it fit. I remember the most awesome thing Legolas did was slide down some stairs on a shield, jump on a moving horse & take out a giant death elephant on his own. With his superpowers on full display it makes me wonder what happened between the two trilogies that made him tone things down. Maybe the other Elves told him to stop showing off or something. Aragorn’s name is dropped at the end with the subtlety of a hammer to the face. Gandalf’s side-quest is sort of resolved with a super burly brawl with Galadriel, Elrond & Saruman verses the Proto-Ring Wraiths. It’s largely pointless but it is awesome. 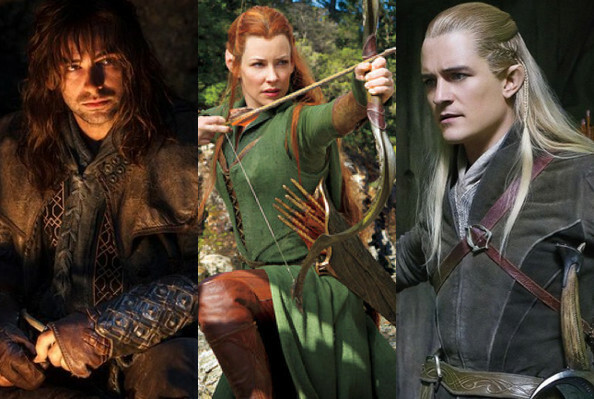 And as for the Legolas, Tauriel & Kili love triangle; I still don’t care, no one cares, stop trying to make me care! I think I’m just nit picking. After all it’s not like we’re inundated with good fantasy films these days. Overall I have enjoyed The Hobbit series, however I still feel the same as I did before this whole thing started; There is absolutely no justification in making this 3 movies. I don’t blame Mr Jackson; He was just a man given a job to do and he tried his best to fill up the extra run time with content, either by adding stuff from other sources or adding new stuff. But some parts of these films feel very bloated & drawn out. I blame the big bad studios, whose greed demanded another trilogy to stand alongside the previous one. But the Lord of the Rings warrants 3 films, there is enough story & interest to fill this, but with the Hobbit there’s just not. I can’t help but feel we’ve been robbed of 2 awesome epic fantasy films; instead we’ve got 3 kinda ok ones with awesome bits in it. I’ll look forward to some time next year when no doubt some dedicated fan will make a super cut of this trilogy into 2 films (or even one 4 hour Ben-Hur-eque epic). But there’s no way you can get lightning in a bottle twice; The Lord of the Rings was a technical achievement in film making, a feat many people thought was physically impossible to adapt into a movie, but they did. If Lord of the Rings was the touchdown, I’m afraid The Hobbit is the overblown score celebration. And with the Tolkien estate tightening their hold on further adaptations it looks like this will be our last journey into Middle Earth. Was it the send-off the world deserved? I’m still not sure, but it’s still better than other attempts at adapting Geek franchises. Can I give a special shout-out to the DWARF ON A PIIIIIIIIIIG!? Of course sir! And that dwarf on a pig is a heavily CGI enhanced Billy Connolly.